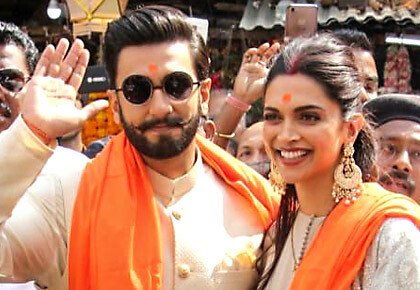 Deepika-Ranveer seek Lord Ganesha's blessings! 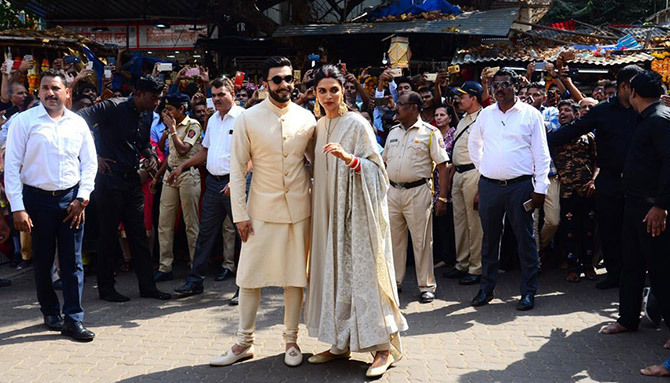 Deepika Padukone and Ranveer Singh -- who have one more reception coming up on Saturday December 1 -- visited the Siddhivinayak Temple, north central Mumbai, to seek Lord Ganesha's blessings. 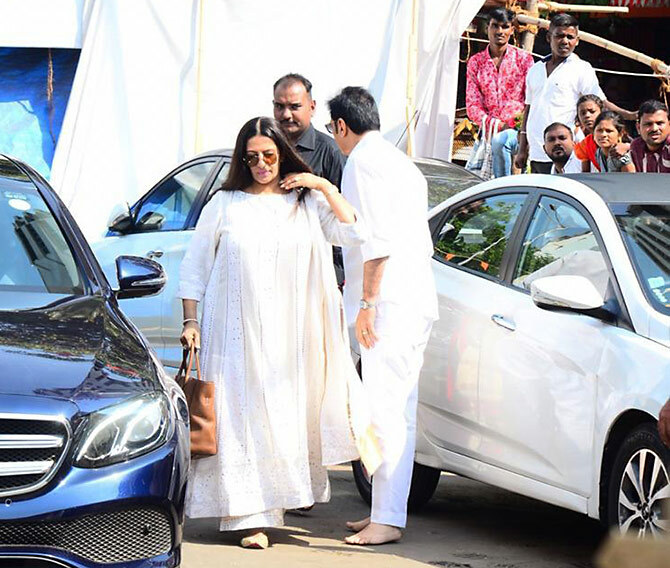 Deepika's father badminton legend Prakash Padukone, mother Ujwala and sister Anisha were present as were Ranveer's dad Jagjit Singh Bhavnani, mother Anju and sister Ritika. Ranveer was dressed in a kurta pyjama with a matching Nehru jacket. Deepika opted for a long kurta with an embellished dupatta. She wore heavy chand balis and a bridal chooda. The couple walk hand in hand. Crowds gathered to get a glimpse of the couple. The couple emerge after the darshan. Anisha Padukone and her dad Prakash Padukone. Ujwala Padukone with Ritika Bhavnani. 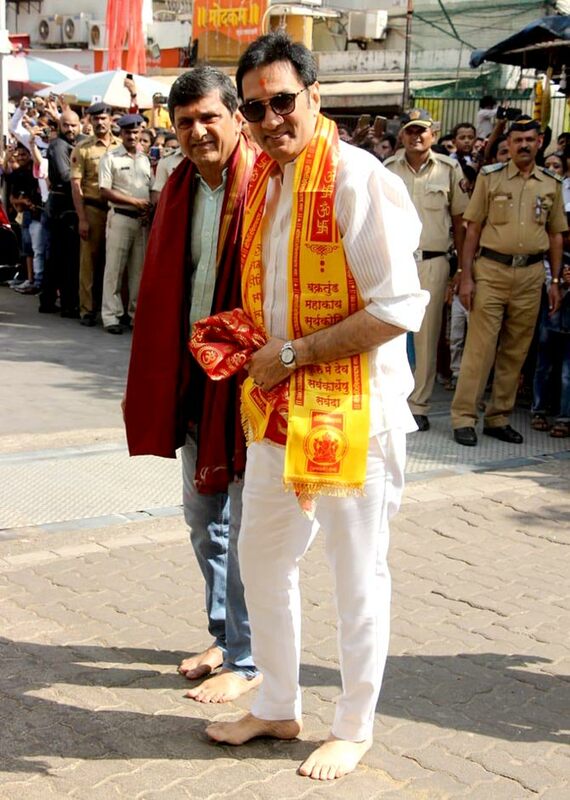 Prakash Padukone and Jagjit Singh Bhavnani.